Pre-workout supplements have become increasingly popular over the last few years, but have raised a few eyebrows. Is pre-workout bad for you? Do pre-workout side effects exist? Is a pre-workout meal better? Do pre-workout supplements really work? And with every major brand hurling its latest and greatest at you, how do you know which to choose? The famous pre-workout supplements have left a great deal of us with many unanswered questions. In this article I will help you learn how to choose the best pre-workout supplement for you, by telling you what to look for and more importantly, what to avoid. No, pre-workout is not bad for you. However, if you’re sensitive to caffeine, you’re probably better off avoiding it. Most people, who have normal sensitivity to caffeine, can take up to 400 milligrams of caffeine each day, without feeling any adverse side effects. Be aware of surpassing the recommended daily amount for adults (400 mg), caffeine is a diuretic; meaning too much can lead to dehydration. According to a 2011 study, around 10 percent of the population carries a gene linked to higher caffeine intake, otherwise known as hyposensitivity. This 10% of people, can take large amounts of caffeine, late in the day, and not experience any unwanted side effects, such as unwanted wakefulness. People who are hypersensitive, however, need to be careful. These people can’t tolerate small amounts of caffeine without experience negative effects. So as long as you are not hypersensitive to caffeine and do not exceed the recommended daily dosage, you will be okay. DO PRE-WORKOUT SIDE EFFECTS EXIST? Note that these are long term side-effects. As long as do not exceed the recommended daily dose, use pre-workout in moderation, and are not hypersensitive to caffeine, like any other normal adult you will be fine. IS A PRE-WORKOUT MEAL BETTER? The answer to this question really comes down to preference. It is true; every worth-your-while nutrient that pre-workout supplements contain also can be found in whole foods. Even a cup of coffee before a workout can supply caffeine for an extra energy boost. A lot of people prefer post-workout meals, vs a pre-workout meal and prefer to take a pre-workout supplement before their workout. But again, there is no wrong choice here, simply preference and what you prefer. Well, that largely depends on the ingredients they contain. Some pre-workout formulas contain less-than-great ingredients or mysterious proprietary blends. When looking for a good pre-workout, it is important to know what to look for, and most importantly what to avoid. Pre-workouts that are heavy on the stimulants will usually give you an uncomfortable tingling sensation or the jitters. It is best to find a pre-workout supplement that has a natural source of caffeine, such as “natural vegetable caffeine”, derived from green tea and green coffee beans. Below, I’ve included a brief description of proprietary blends— why you want to avoid them— and a few good ingredients, along with their benefits. Each ingredient and its dosages are clearly listed; there are no fancy “matrixes”, “complexes” or “blends”. Caffeine is arguably one of the most important ingredients in a pre-workout formula. Caffeine boosts mental alertness and sharpens focus, as well as giving you additional energy. When taken in doses between 100 to 400 milligrams, caffeine has thermogenic properties— meaning it kick-starts your metabolism, allowing you to burn more calories during your workout and throughout your day. Thus, caffeine also helps you on your journey to become lean and sculpted. However, be careful not to surpass 400 milligrams, any more than that might make you feel anxious, nervous and jittery. If you like caffeine, you’re going to love theanine. It puts a whole new spin on the world’s most popular energy enhancer. Mainly found in tea leaves, theanine has calming and relaxing effects but also promotes focus, attention and memory. If it’s relaxing why is it in pre-workout, you ask? Well, that is because L-Theanine works synergistically with stimulants, such as caffeine— meaning both are already effective, but when used together, increase each other’s effectiveness. If you’ve have ever had a crash from caffeine, you know just how horrible it can be. The combination of L-Theanine and caffeine is sometimes referred to as smart caffeine. L-Theanine helps your body to use the stimulatory effects of caffeine productively; making sure energy from caffeine goes to where it is needed— without jitters or loss of focus. Vitamins are the central tools used by our bodies’ enzymes to build all structures in side you, making them vital to human health. Vitamins such as B-5, B-6, and B-12 are often included in pre-workout formulas (as you can see in the example above) to enhance energy production, transform amino acids to proteins, and to support healthy red-blood cells— which results in an enhanced ability to carry nutrients and oxygen throughout the body. 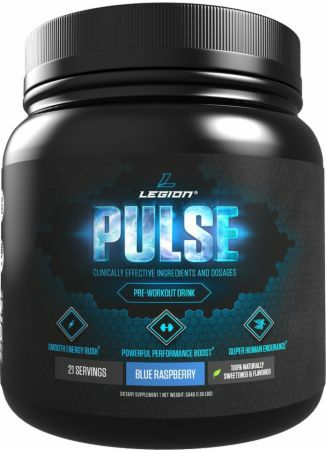 L-Citrulline Malate and L-Arginine are both amino acids needed in the body that play key roles in blood flow and all nitric oxide produced in the blood stream is sourced directly from L-Arginine. Nitric Oxide in the blood stream is how the human body dilates veins and arteries, increasing blood flow and thus oxygen to the extremities. Citrulline is converted into Arginine in the kidneys, where it is produced in high levels over time, which in turn boosts nitric oxide levels; thus helping blood flow and circulation throughout the body. This, when it comes to working out, is going to give you that robust pump; which not only feels great, but will help you achieve your fitness goals even faster than you imagined. BCAA’s (brand-chained amino acids) are a group of three essential amino acids: leucine, isoleucine, and valine. BCAA’s are essential— meaning they can’t be produced by your own body, and must be obtained through food or supplementation. BCAA supplements are essential for the development and repair of muscles, and thus, are usually included in pre-workout supplements. Taking BCAA’s prior to your workout will saturate your bodies’ BCAA stores, so you don’t run out of these necessary amino acids when they’re most needed. Beta-alanine is a non-essential amino acid, meaning it is not used by your body to synthesize proteins. Instead, it produces carnosine, which is then stored in your skeletal muscles. Carnosine reduces lactic acid accumulation in your muscles during exercise— leading to better athletic performance. Lactic acid is the burning sensation you develop in your muscles, which causes fatigue and post exercise muscle soreness. Beta-alanine, and its production of carnosine, helps to combat this. Tyrosine is another non-essential amino acid and is often taken to promote fat loss and exercise performance— since it can turn dopamine into adrenaline. It also works quite well for reducing stress, improving mood and cognitive function. All in all, these 8 ingredients I’ve listed above are great ingredients and if you see them in your pre-workout, good job— that means you picked a good one! Now that you’re acquainted with the various ingredients commonly used in pre-workout supplements— and know what to avoid— it should be easier to evaluate the products as a whole. We included 2 other pre-workouts below, because we respect their formulas. However, before we dive into the rankings, we would like to point out the obvious bias we have here. We wholeheartedly believe, without a doubt, that our pre-workout supplement, OptiForce, is the best pre-workout supplement out there. We hand pick the ingredients in full regards to clinical studies, with no regards to ingredient cost, to make sure we deliver only the best. Excessive amount of Caffeine Anhydrous (350 mg) (Caffeine powder) With a bit more betaine, or the inclusion of beta-alanine, or taurine, etc., they wouldn't need to overcompensate with caffeine. Nothing. OptiForce is the absolute best pre-workout out there! New customers, enjoy $10 off when you sign up for our newsletter! PLEASE NOTE: Creatine is one of the BEST supplements for increasing muscle mass, second to protein. HOWEVER, (Creapure®) caffeine inhibits the uptake of creatine. We’d recommend a stand-alone creatine product, taken at least 4 hours from pre-workout consumption.